A DOZY dad had to ring his wife while she was out shopping to tell her he’d burned their house down — because he was tinkering with his motorbike. 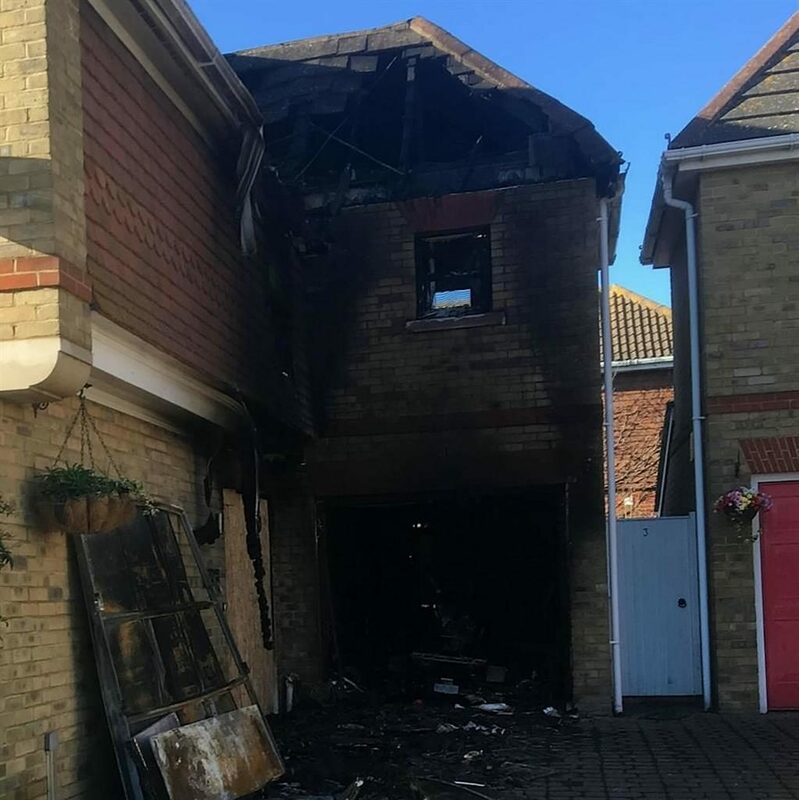 Peter Biggs accidentally blew up half his house when he was messing with his bike because he drained the petrol from the tank, which subsequently caught fire and exploded. He then had to ring his wife Louise, who was shopping with the daughter, to tell her that their home, in Cliffe, Kent, had turned into ruins because of his bike, which she hated. The family are now appealing for help to find somewhere to live because the semi — their home of 12 years — may no longer be safe. Sheet metal worker Pete said: ‘I had been working on my bike and I thought it would be a good idea to drain the petrol tank. ‘I had done it before and it’s not that difficult — I even had the garage door open for ventilation, but it obviously wasn’t good enough. ‘It was all going tickety-boo but then there was a huge flash and a bang. ‘It made me jump and that’s when I dropped the petrol tank and everything just went up. ‘There were explosions that sounded like gun fire — it was the tyres exploding. 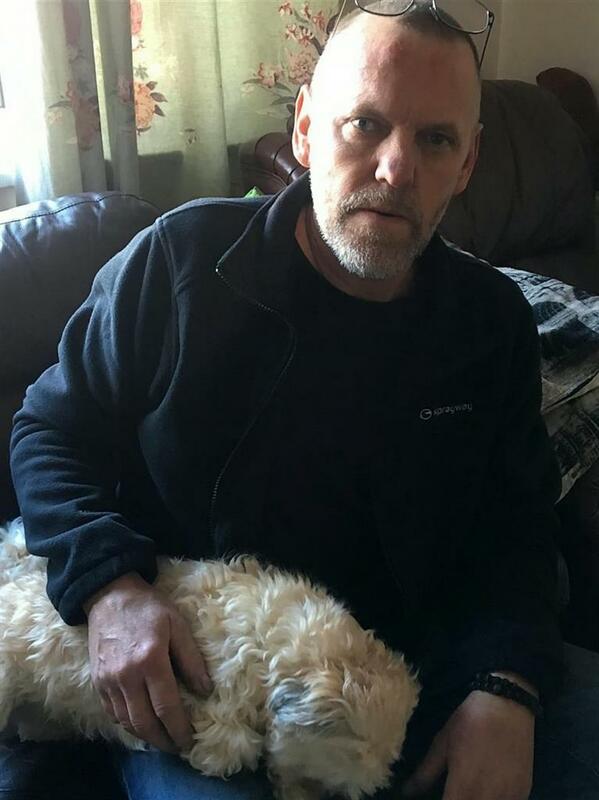 The 59-year-old raced inside the house to get some water — a split-second decision which meant he suffered burns to his left hand and forehead. Luckily, Pete’s wife and daughter were out shopping when the fire took hold of the family home. ‘When I called Louise to let her know what had happened, she was hysterical,’ he added. ‘She was never a lover of my bike anyway so that was terrible. ‘Saturday marked our 12th anniversary in that house and we had just finished doing it up. ‘Everything we had was new and now it’s all gone. Pete’s son-in-law and neighbours were quick to act, rescuing the family’s two dogs and stopping the flames engulfing the rest of the house. ‘I can’t thank them enough for their help, it was unbelievable,’ added Pete. It took six fire engines and two hours of battling the flames to finally put out the blaze. The community in the small village has now rallied around the distraught family — including the local pub, who have taken them in. ‘Everybody has been marvellous — the community spirit is amazing,’ said Pete. Friends of the couple have raised more than £900 so far to help them get back on their feet.